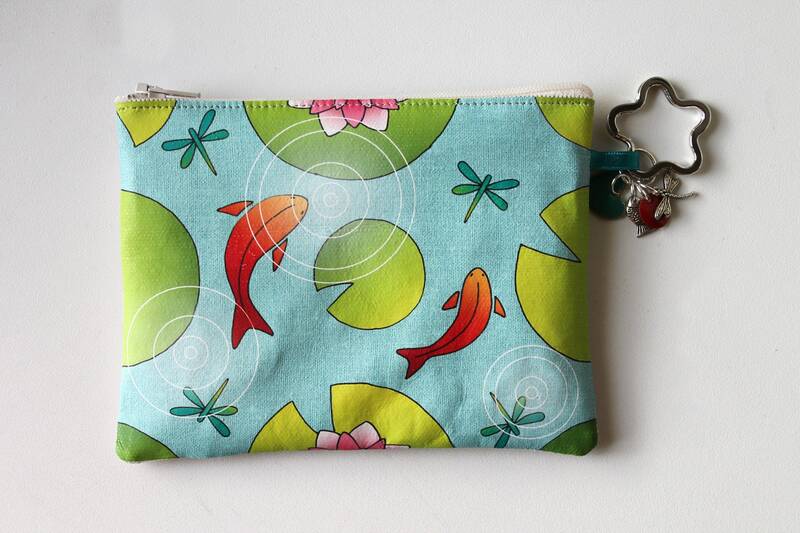 Coin purse-key cards in natural linen with illustration "Lily & red fish"
Coin purse-key cards in linen with original illustration printed on the front. 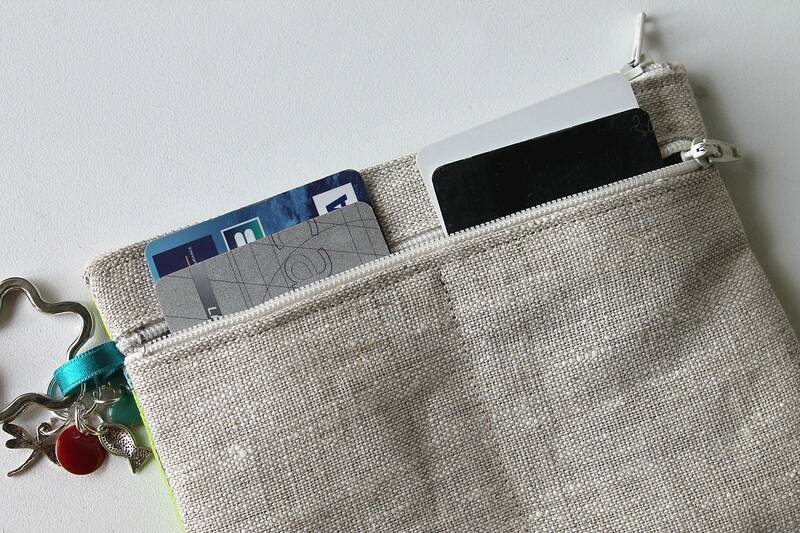 A pocket for coins and the back, a pocket to hold several cards (credit card size). A flower shaped ring can also hang a few keys. It is removable. The bag measures 15 cm wide and 11 cm high. 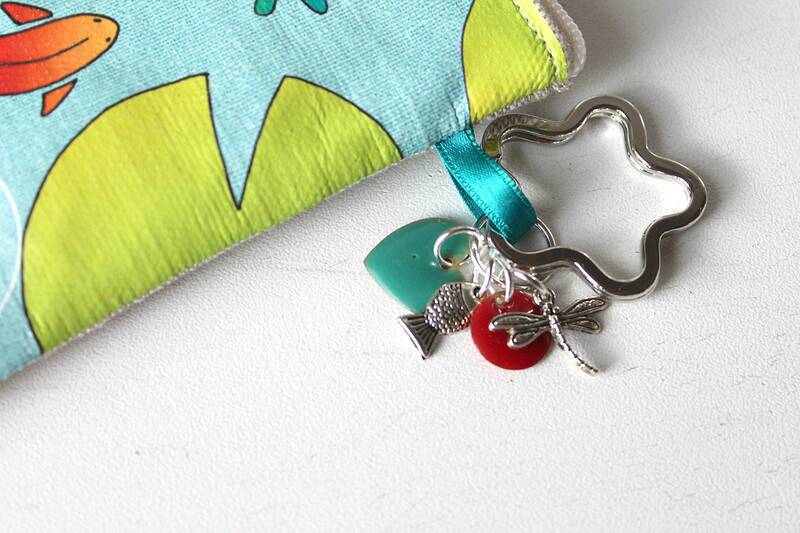 Small Ribbon on the side are hung the charms match the pattern. The illustration shows fish and water lilies. It is printed by heat transfer system.